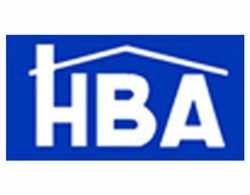 Have Questions About Hail And Insurance Claims? When spring comes to North Carolina, we often find ourselves happy to see the cold temperatures go, but we all know that when those cold temperatures go, that means warmer temperatures come to take their place, bringing with them severe storms that many times contain hail and/or tornado damage. 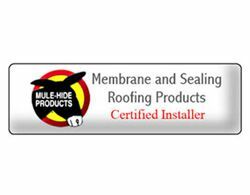 Hail is one of the most common forms of environmental damage to roofing materials. Hail damage is so widespread that in the U.S. alone, it costs close to $1 billion each year in insurance claims. Even a moderate hailstorm can cause damage to a roof. The tricky part of assessing this damage is that it may not be obvious immediately after the storm, and different types of roofing materials will experience different kinds of damage. You will need a good roofing company to come in and assess the damage and be able to provide you with the necessary storm damage services needed to handle your insurance claim. 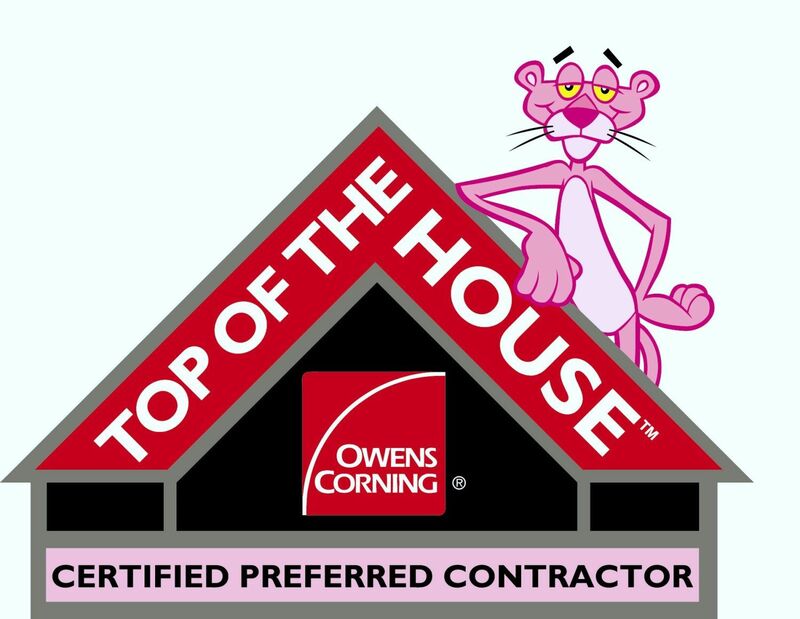 The steps below can help you determine if your roof has hail damage and what further actions you may need to take to repair this damage. 1. Roof vent caps—Inspecting these thin, aluminum fixtures allows you to see if hail has struck. Dents usually do not impede with the proper function of the roof vent caps, but these indentations are an easy way to see how the hail has struck, and can give you a better idea of the size of dents that may also be on the roof. 2. Downspouts—Check to see if there is a significant amount of shingle granules in the downspouts. 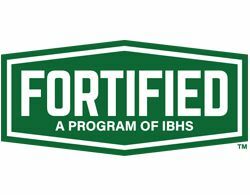 Although granule loss does not necessarily mean that there is damage to a roof, significant loss is usually a sign that the roof has been severely weathered or damaged. 3. 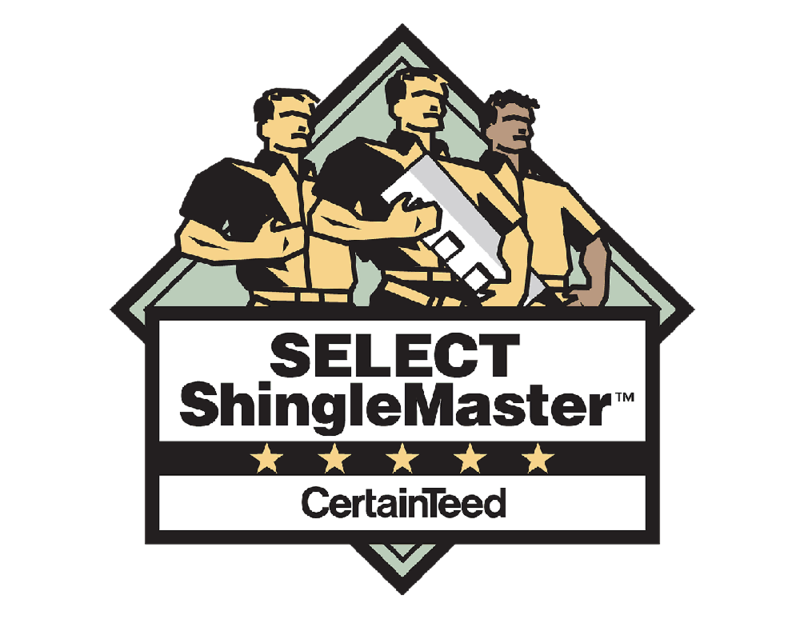 Shingles—Hail damage to shingles will be in a random pattern of varying sizes. 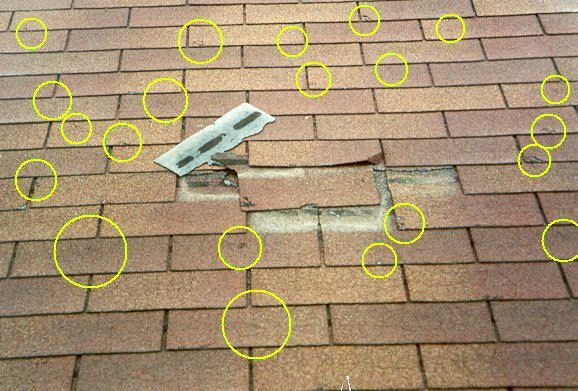 If there is damage to shingles in any sort of pattern, then this damage is not due to hail. Hail striking the shingles will leave a “bruise” in the mat, which can usually be felt by touch. In addition to these bruises, the shingles may have complete holes in them. Be weary when looking for holes, however, because they can be easily mistaken for heat blisters. 4. Leaks—If your home begins to leak after a hailstorm, it is likely that there is damage to your roof. 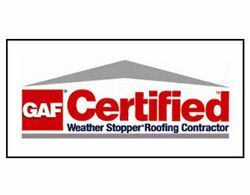 Because roof leaks may not come immediately after the storm, it is important to be aware that there may be damage to the roof even if it is not yet leaking. 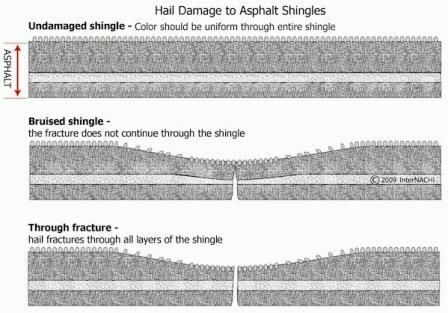 The effects of hailstrikes on Asphalt Composition Shingles vary according to the conditions at the time of the hailstorm. 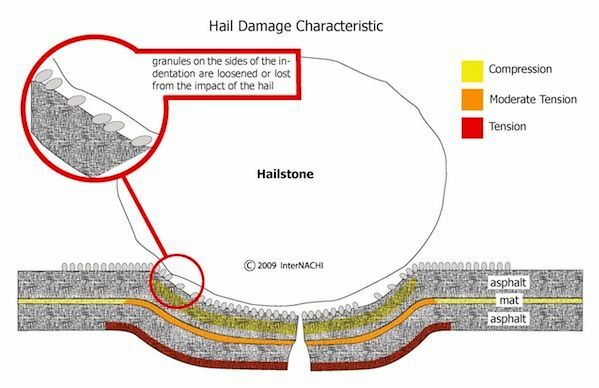 If hail is accompanied by rain, as is common in the U.S. in the Midwest and on the East Coast, the rain will cool the roof, making the asphalt harder. 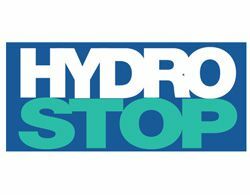 Hailstones striking rain-cooled, hard asphalt are more likely to loosen or displace granules. 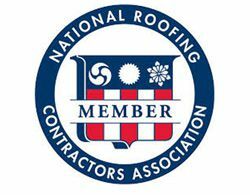 Please click on link for characteristics of hail damage to Contact American Roofing & Construction, LLC to assess the damages to your roof. Many times, a trained eye from a professional can catch damages that an untrained eye may easily overlook. 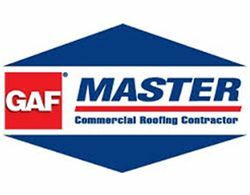 It is important to contact a roofer in a timely manner, before more damage is done, if you believe there is any kind of damage to your roof. 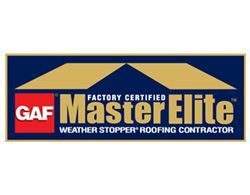 Different roofing materials can experience various damages due to hail. 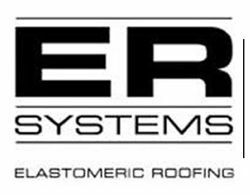 A professional roofer is able to distinguish hail damage from other damages on a roof, even on the varying types of materials. 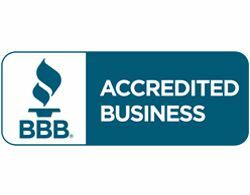 These professionals provide valuable insight to properly repairing your home and maintaining a safe and comfortable place to live.